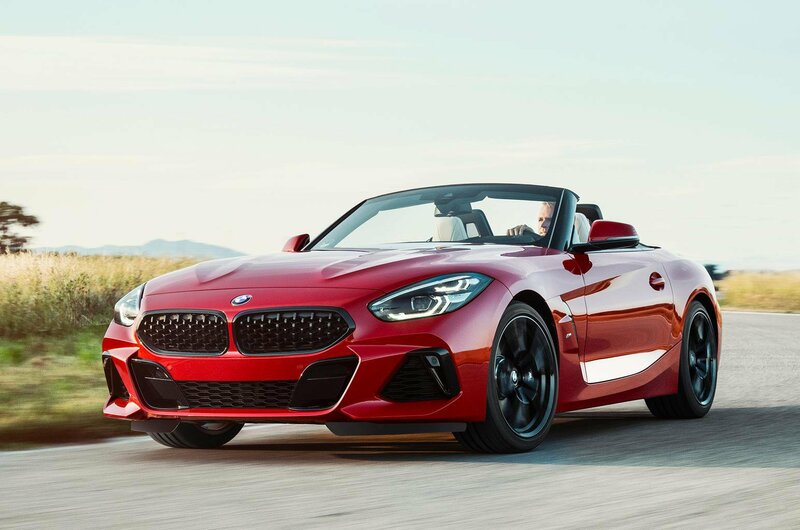 2019 BMW Z4 revealed – price, engines and release date | What Car? 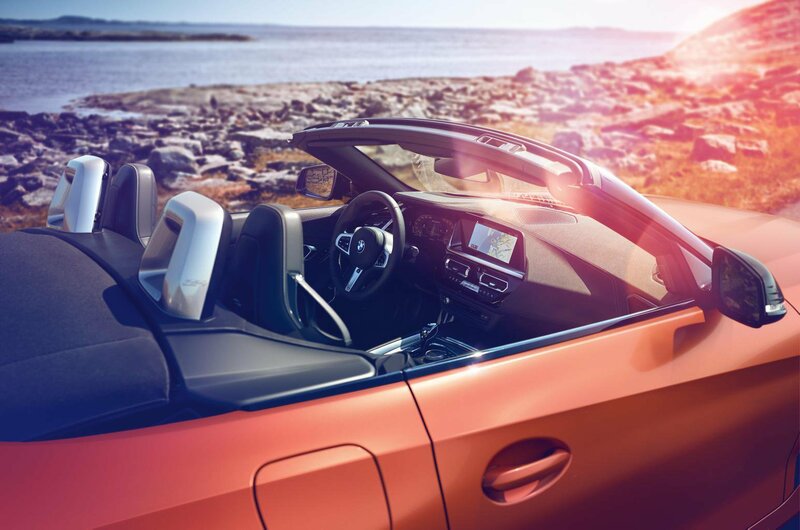 Not so long ago, the traditional soft-top convertible looked like it was heading for extinction, as the majority of car makers started to use retractable hard-tops instead. 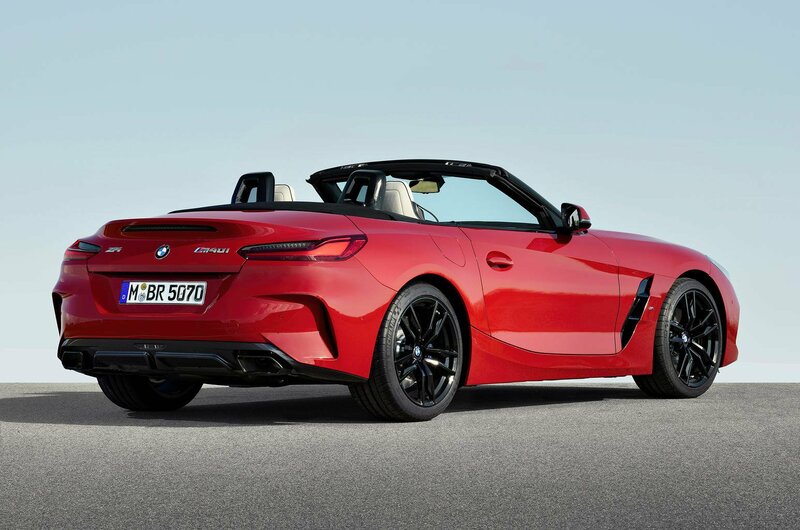 But like the humpback whale and the white rhino, it has made a remarkable recovery, to the extent that the 2019 BMW Z4 will actually switch back to a fabric roof. This new sports car has just been revealed ahead of its public debut at the Pebble Beach Concourse in America, with the design sticking closely to that of the Concept Z4, which BMW showed last summer. But what else do we know about it so far? 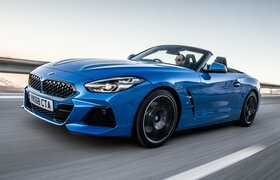 At launch, there are likely to be three versions of the new Z4: 181bhp and 248bhp 2.0-litre turbos, badged sDrive20i and sDrive30i, and the M40i model, which BMW has released pictures of. 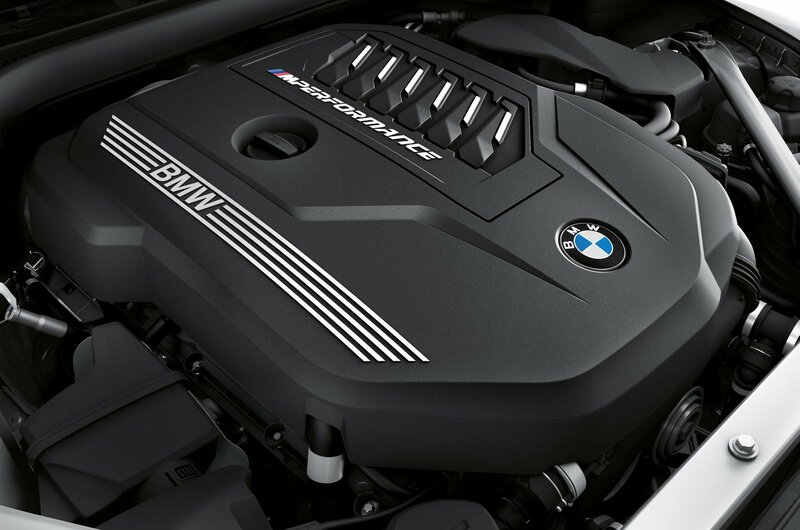 This is powered by a turbocharged 335bhp 3.0-litre unit, which gets it from 0-62mph in 4.6sec. An even faster Z4 M model that uses the 425bhp twin-turbo 3.0-litre unit from the M3 super-saloon could follow later, although this has yet to be confirmed by BMW. 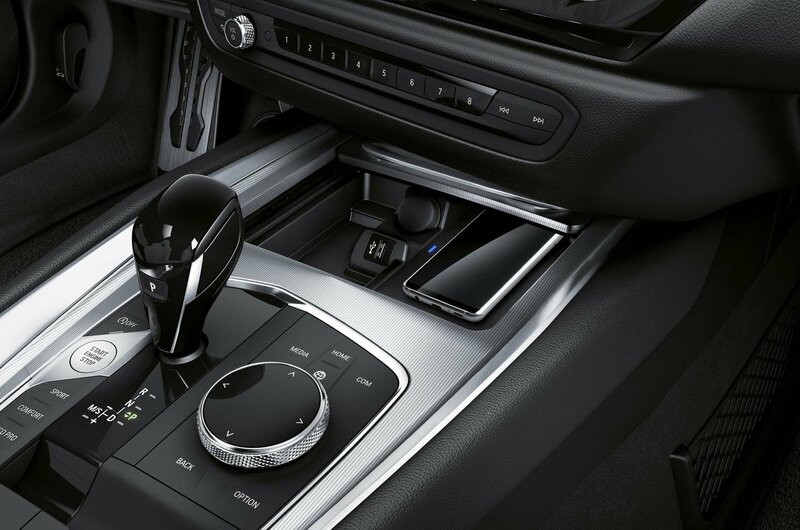 As with the outgoing car, all versions will be rear-wheel drive, but buyers will be able to choose from a six-speed manual gearbox and an eight-speed automatic. The new Z4 is made from a mix of high-strength steel, aluminium and magnesium, which helps make it lighter than its predecessor and has the potential to improve handling. 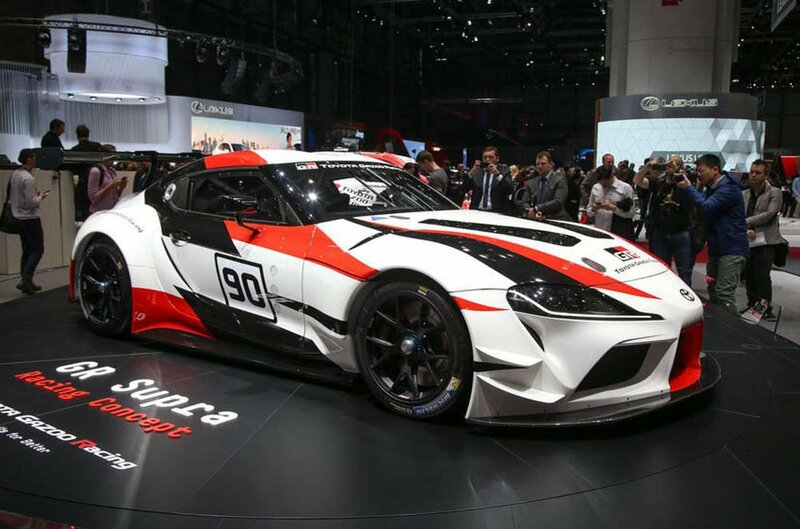 This platform has been developed in partnership with Toyota, which will use it for its new Supra sports coupé (above). 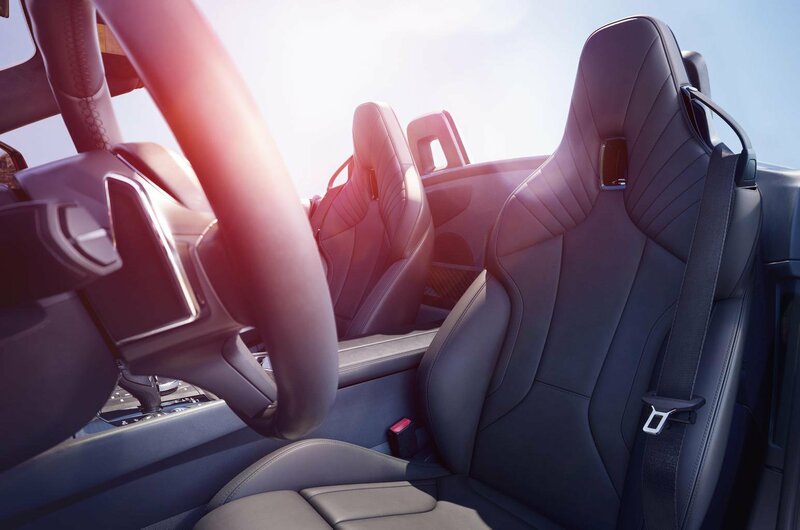 The first of the new Z4's will be high-spec'First edition' models, equipped with electrically adjustable memory seats, ambient interior lighting, a head-up display, a Harman Kardon Surround Sound System and Frozen Orange metallic paint. 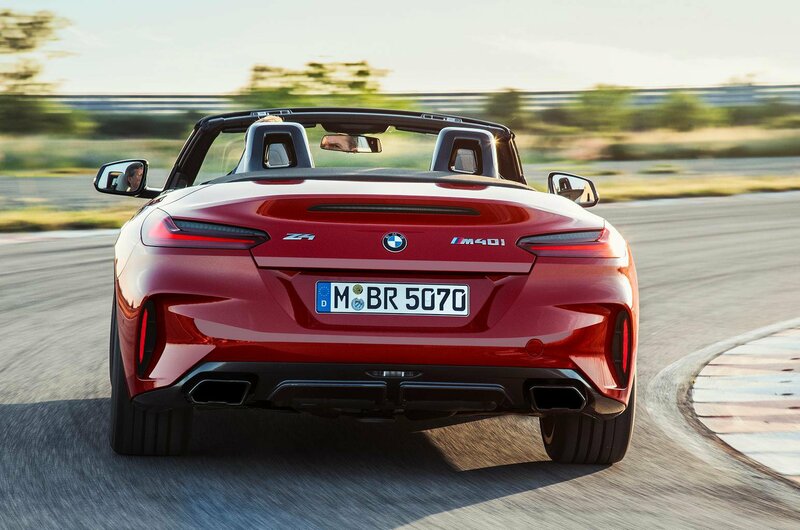 The new Z4 should be more spacious than its predecessor (even though it's still a two-seater) because it's wider and the front and rear axles are set farther apart. 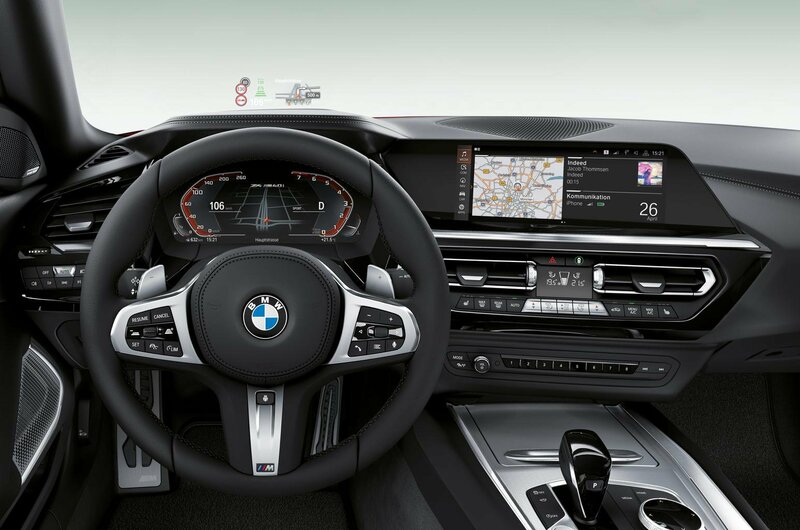 It retains the sweeping dashboard and relatively wide centre console of the concept. And while the concept's brushed aluminium and carbonfibre trim are likely to make way for more cost-effective materials, one of BMW's stated aims with the new car is to improve perceived quality. 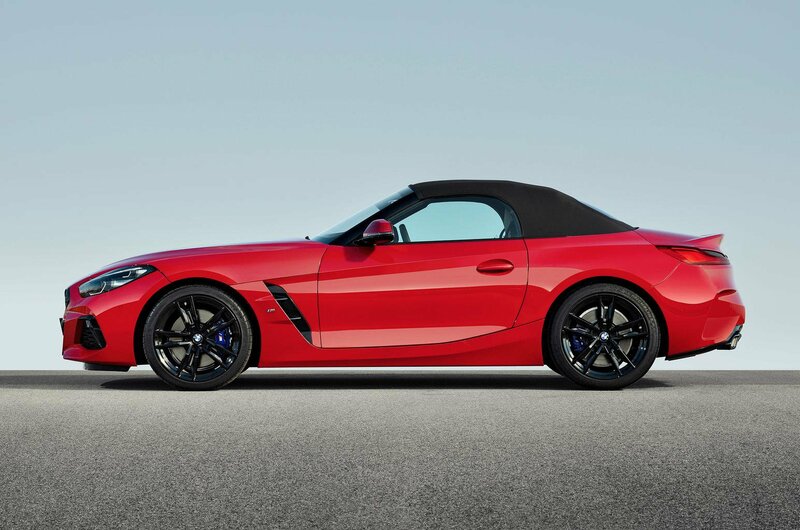 As similar as it is to the Concept Z4 on the outside, the production model loses the metallic domes behind the seats and gets conventional roll-over hoops, instead. The new BMW Z4 will go on sale in the UK early next year, and is expected to cost from about £35,000. More details of the car's performance and equipment will be revealed on 19 September.